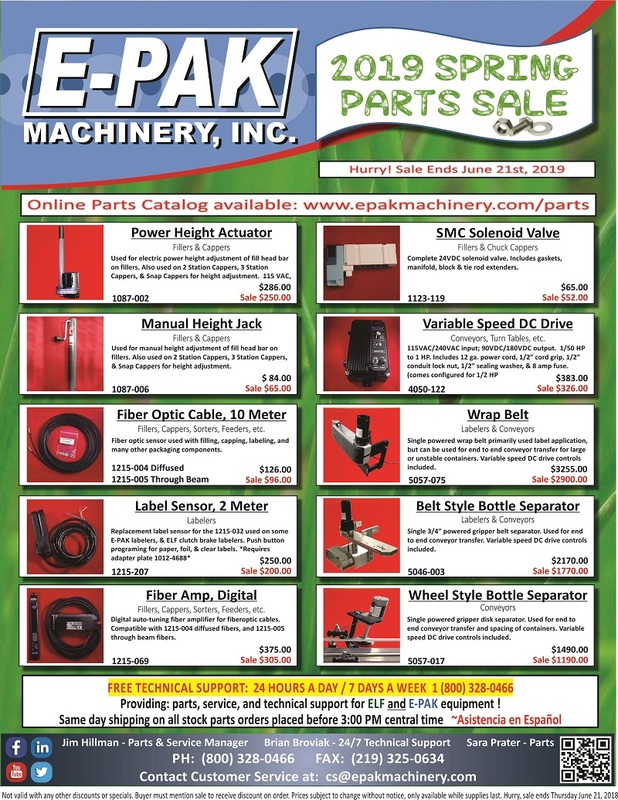 E-PAK Machinery offers special promotions, and pricing on filling equipment, parts, and other items throughout the year. As the seasons change so do the specials! We also offer a monthly “Tech Talk” providing you with information to help you get the most from your filling equipment. If you have questions, or don’t see what you’re looking for call one of our qualified tech support or filling system parts specialists. Every winter, spring, summer, and fall, our customer service team prepares a quarterly parts special flyer. 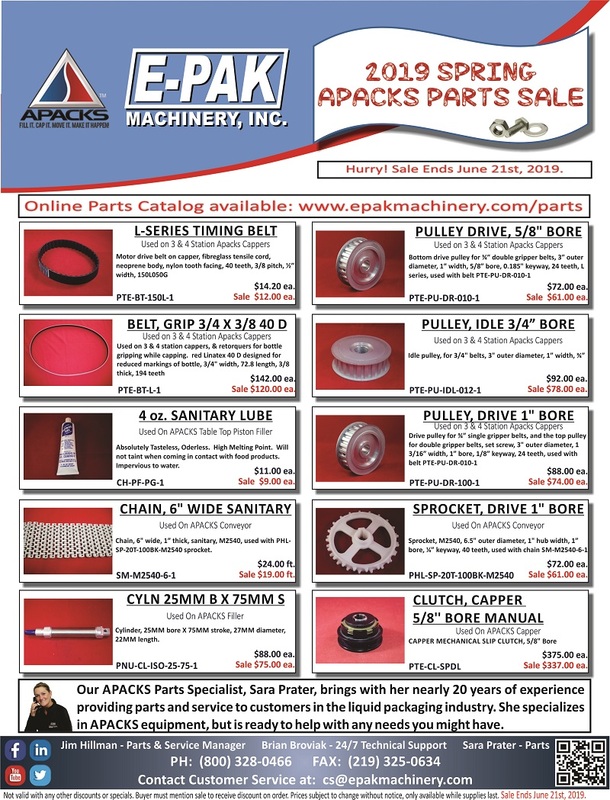 Selections of parts are carefully assembled to represent some of our most popular, and hard to find options. We then apply deep discounts to those items, and send out notifications so you can take advantage of the sale. If the item you want is not on sale, let us know. We will do the best we can to work it into our future Bottling Machine parts specials. Alternate filling system configurations to improve efficiency.